Tired of your chain bouncing up and down, beating up the finish on your chainstay This Shimano XTR Shadow Plus Rear Derailleur RD-M985 uses an innovative selectable damping system to reduce the cage movement in response to the chain bouncing as you clatter over obstacles on the trail. In essence it maintains consistent tension on the chain. For all you full suspension riders out there, worry not. If you have the Shadow Plus turned "on" it will not harm or be harmed as the suspension cycles normally through its travel. Aside from this feature, this is just a second generation Shadow XTR rear derailleur. As such, it benefits from the shadow design in the same way as the 970 did. 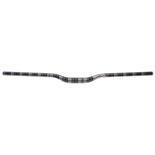 The low-profile geometry keeps it closer to the dropout and safer from impacts with roots and rocks. Both pulleys have sealed bearings, and the pulley cage blends a carbon fiber outer with an aluminum inner plate for a just-right combination of lightweight, strength, and stiffness. Shimano engineers also changed the return spring so that it works better with full-length cable housing. With the new spring, the XTR Shadow Plus Rear Derailleur RD-M985 snaps onto smaller cogs as quickly as you can make the shifts.You'll have the choice of a medium (GS) or long cage (SGS). The differing lengths of the cages translate into different chainwrap capacities for each version. The GS derailleur is best paired with a 2x10 XTR Crankset. 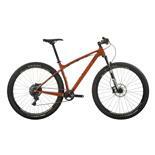 The long cage SGS model has a greater chainwrap capacity, so it will handle the XTR Trail Triple Crank. The Shimano XTR Shadow Plus Rear Derailleur RD-M985 has a top normal spring configuration, which means that it returns to the top gear when the cable tension is released (which is normal). It's designed to work in harmony with Shimano Dyna-Sys 10-speed Rapidfire shifters and 10-speed cassettes with a maximum 36t large cog. Bought as replacement for a Deore SLX that did not function. Has served me now 6 or 7 years and no chain slap no problem shift like a dream even with a 11-40 cog. There coul be a 42 in there without problems as well but not needed yet. As long as this has been serving me I have to say no problems with this. I love the direct mount option, the clutch is one of the greatest innovations and works really, really well, looks great and definitely has that bling factor if that is what you are looking for. Most importantly it functions really well except for the increased shifting effort when the clutch is engaged. When the clutch is engaged it can be harder to shift into the larger rings on the cassette. I think this is easily the best rear derailleur to date from Shimano mainly due to the clutch which reduces chain slap immensely. This feature is a must have if you experience any kind of chain slap. 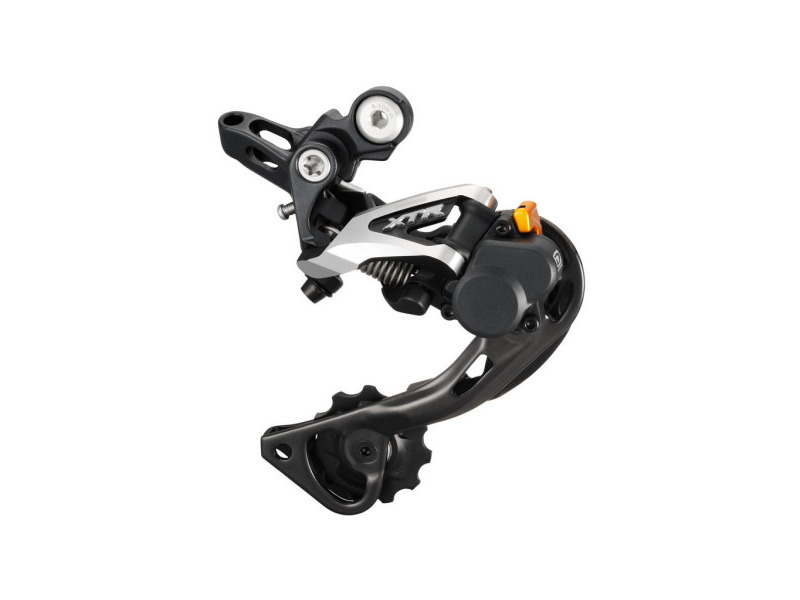 To me this derailleur raised the bar on what to expect from MTB derailleurs. It does increase the shifting effort slightly, which is supposed to be improved on the new 11speed systems, but I haven't tried those yet. I can't say much about SRAM as I don't have a lot of experience with their rear derailleurs. 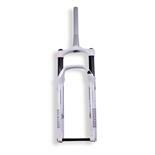 They may be as good or better, but their shift levers do not perform as well in my opinion and I am not saying they perform poorly, just a notch below to me. smooth shifting that you can barely notice. No chain noise makes for much quieter ride. Cage made out of carbon?, only needed one minor low speed collision and it broke very easily. 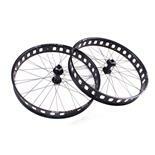 Parts to replace excessively priced at $70 per inner and outer cage. 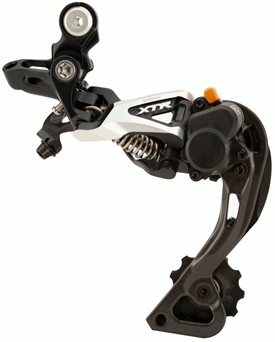 Cost of XT derailleur $150 so I have now downgraded to xt and cannot notice much difference. Don't waste your money, buy the XT and save $100. about 20g heavier than non-plus version. weight weenies might care..
added shift lever tension due to internal clutch in derailleur. Been running the XTR shadow plus. There is some sort of adjustable internal "clutch" that minimizes chain slap. 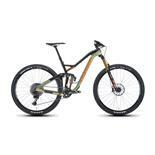 Coming from an older version of the XTR derailleur, it has been a HUGE change. It does NOT get rid of the slap as Shimano would like you to believe, but it does greatly diminish with the new Shadow plus. It is a bit heavier, but not by much. I think the "plus" version is about 20g heavier. Some people have complained that pushing the shift lever to get the "plus" version is a pain and has too much resistance. I do notice there is some additional resistance, but it isn't terrible.